During the early postwar years, the 1948 Hudson Super Six and Super Eight were part of a general facelift for the upscale mid-market Hudson brand. Built to compete with Buick and Chrysler offerings, the new concept was called “Step-Down” styling, and featured several new and functional concepts. The new sleek fastback design and record low overall height is still valued by collectors to this day. This feature was achieved through Hudson’s new unit body mounted over an exceptionally sturdy ladder frame. This “Monobilt” design allowed the outer frame members to run outboard of the rear wheels, eliminating the rear wheel arch. By dropping the cabin floor beneath the top of the frame rails, the roof was able to be dropped without a loss of interior space. This also helped lower the center of gravity of the new cars, yielding better handling than the competition. This low hot rod stance coupled with futuristic fastback styling made the new 1948 Hudsons look like true creations of the Atomic Age. The Step-Down Hudsons made their debut in November 1947 as 1948 models. In this year, the Hudson Super Six and Super Eight were the entry-level models for the brand. The Super line was available as a four-door sedan along with a selection of two-door models --a brougham coupe, club coupe, business coupe, and a brougham convertible. With the exception of the 3-passenger business coupe, all were designed to carry six passengers. Two engine options were offered; 90 percent of cars off the assembly line utilized the 262-cid inline-six L-head and produced up to 121 horsepower. The second engine, a smaller 254-cid L-head V-8 running with 128 horsepower, was only offered in the sedan and club coupe body styles. Transmission options included a three-speed manual and the Hudson Vacumotive Drive-Master unit; which used suction to actuate the clutch to be driven in manual, clutchless manual, or a fully automatic operation for second-third gear shifting. As the model years advanced for the Super line, the six-cylinder engine received a small boost to 123 horsepower in 1950—in 1951, the V8 was dropped. In 1950 and 1951, a Supermatic automatic transmission was offered. The business coupe body was discontinued in 1950, and in September 1951 a two-door “Hollywood Hardtop” was added to the line, giving the final months of production a boost. Hudson Super production was about 55,000 units in 1948, then 97,600 cars in 1949. 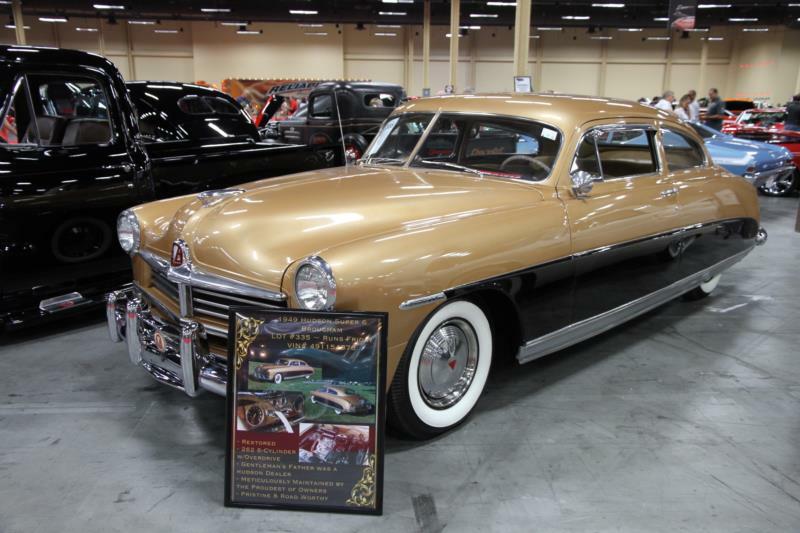 As Hudson added the less expensive Pacemaker to the lineup in 1950, Super production dropped to 18,000 cars. Production for the 1951 model year totaled about 22,532 Supers. Although the Super model was discontinued for the 1952 model year, production continued into January 1952 before the line came to an end. .
Collectors looking for the Hudson Hornet mystique on a budget should consider the Super line. Comparable to the Hornet, the Super delivers the same great style and handling, butg doesn’t have the same name recognition. Standout collectibles would include any of the brougham convertibles, or one of the 1100 late-series Hollywood Hardtop cars. The manual or Supermatic transmissions are likely to be a preferred choice over the more complex Drive-Master due to maintenance and parts availability.